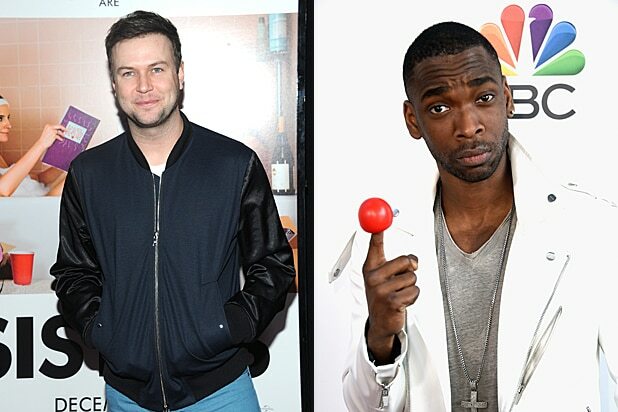 Days after the news that Taran Killam and Jay Pharoah will not return for “Saturday Night Live,” Showtime has picked up the two comedians to headline their own comedy projects. Pharoah will headline “White Famous,” executive produced by Jamie Foxx, while Killam will star in “Mating,” from “Friday Night Lights” showrunner Jason Katims. Both projects have been ordered to pilot. “We were prepared to work around their ‘SNL’ schedules,” he said Thursday at the Television Critics’ Association’s summer press tour. Tim Story is directing and producing the pilot. Foxx will executive produce and guest star in a recurring role on the half-hour comedy, with Kapinos also serving as an executive producer. The pilot is a co-production between Showtime and Lionsgate Television. The “Mating” anthology pilot will center on a recently divorced guy who married young and now finds himself completely unprepared for the brave new, frank and fluid world of dating and hooking up. Stu Zicherman is the writer and executive producer. The project, produced by Showtime, Universal TV and True Jack Productions, is an “annual anthology” as each season will focus on a different protagonist’s journey through modern dating and relationships. Michelle Lee will also serve as an executive producer. Both Killan and Pharoah joined “SNL” in 2010 and were let go Tuesday. Featured player Jon Rudnitsky was also let go.